Bangalore, India (July 18, 2013) – Transit Aids, Bangalore based car rental company provides a wide range of vehicles for personal and corporate needs. Their service spans an extensive array of clientele, from individuals looking for one-time renting to corporates hiring cars and buses on contract for long term to provide employee pick-up/drop-off service. The biggest pain point for car rental business in India is inconsistent and undependable service. It is a highly fragmented and disorganized industry plagued by challenges like drivers not reporting on time, late arrivals at pickup points, reckless driver behavior and vehicle misuse. Transit Aids strives to deliver high standards of service by enforcing stringent guidelines for drivers and offering the customer a great end user experience. In order to maintain high standards of reliable service, Transit Aids was looking for a vehicle tracking solution to manage their fleet. 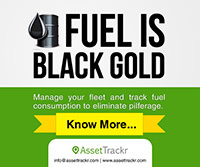 With AssetTrackr’s Car Tracking solution, Transit Aids is able to automate dispatch, locate and track cabs in real time, analyze driver behavior and optimize fuel usage and curb fuel pilferage. Installing AssetTrackr’s tracking device in their cabs has allowed Transit Aids to save considerable cost on fuel expenses and optimizing workforce. Once a customer places a call requesting a rental, Operations team uses AssetTrackr’s real time location finder to trace the nearest cab in the vicinity and direct them to the pickup point. This ensures on-time pickups for customers. Transit Aids relies on AssetTrackr integrated car tracking solution to curb instances of vehicle misuse and reckless driver behavior. For example, with stoppage detections on the trip report, Transit Aids was able to identify cases where the driver claimed reimbursement for Airport parking, but never parked the car. Scrutinizing the trip history helped identify when drivers made extra trips between routine pick-up and drop-offs and the operator was able to warn the drivers with supporting evidence. Additionally, customers appreciated status updates on the location of the cab. After initial trials, Transit Aids perceived the value in adopting the solution and decided to deploy AssetTrackr’s Car Tracking device to their entire fleet. Transit Aids uses AssetTrackr RestAPI interface to tightly integrate with their ERP system and handle all movement of their fleet, notification to customers on estimated pick-up/drop-off times. “AssetTrackr fleet management solution has helped Transit Aids automate dispatch, identify and check vehicle misuse, cut down on fuel expense and optimize their workforce”, says Harish B, Managing Director of Transit Aids. 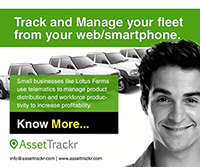 The AssetTrackr tracking device is very compact and can be installed under the dashboard and comes with a web based access to their hosted service on the Cloud. The solution provides real-time tracking of fleet of vehicles, grouping them by regions for easy manageability and provides advanced features like landmarks and Geo-zones for setting/receiving alerts. The AssetTrackr solution comes with a user friendly web interface and a smartphone application for anytime, anywhere access.